The groundbreaking of the Addison Park on Clark retail and residential development at Addison St. between Clark St. and Sheffield Ave. is scheduled for early 2015, said Ald. Tom Tunney’s (44th) office. 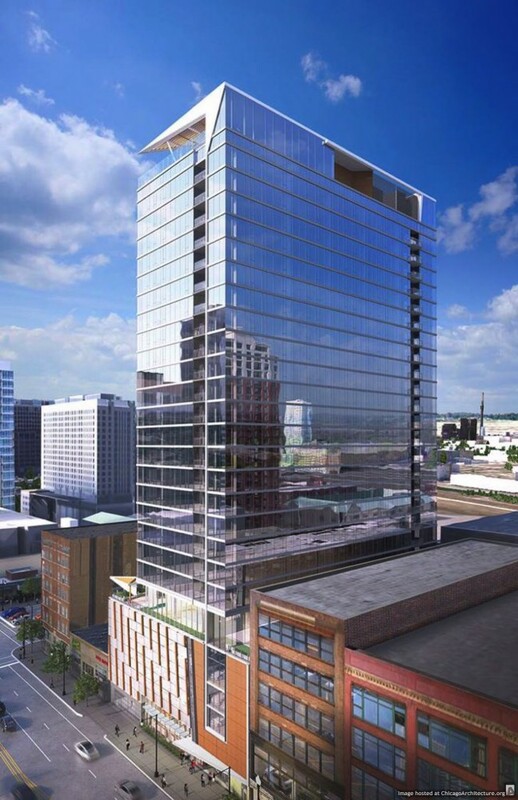 The eight story SCB-designed mixed-use development will cost $140 million and stretch to 93 ft. The building project includes studio, one-bedroom and two-bedroom apartments totaling 148 units, retail space of 170,000 sq. ft. covering three stories, and 493 parking spaces both in the building and underground. The building will have amenities like a health club, a rooftop pool and sun terrace area. Sidewalks on Addison and Clark will be expanded. According to Lawson, most stores, offices and businesses along Addison St. between Clark and Sheffield Ave. will be demolished, though two stores, Luis Auto Repair at 1031 W. Addison St. and Sports World at 3555 N. Clark St., will remain intact. 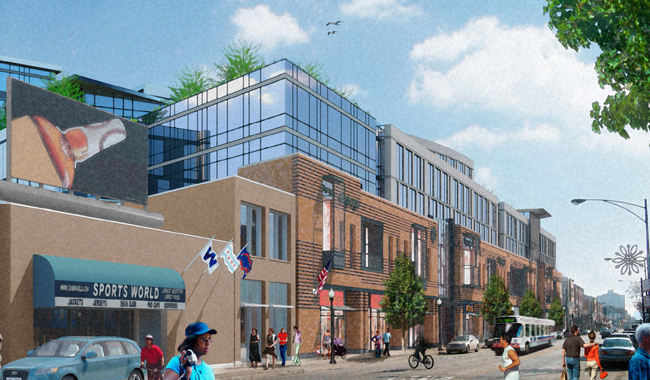 The developers are shooting to complete the project within 18 to 24 months and will coordinate with Wrigley Field construction work as well as the Cubs’ season, said Tunney’s office. Though originally proposed as a hotel development, the developers changed the plan following community feedback.